The Central Spokesperson of Baloch Students Organization Azad on the 10th martyrdom anniversary of Shaheed Nawab Akbar Bugti while paying tribute to him stated that his important sacrifices are the guiding light for Baloch national freedom movement. He said that the martyrdom of Nawab Akbar Bugti gave life to the movement going on against the Pakistani occupation. By sacrificing his life Nawab Akbar Khan Bugti motivated the people of Balochistan towards playing their role in the Baloch national freedom movement. Pakistani Intellectuals try to portray a controversial personality of Nawab Akbar Khan Bugti’s by claiming he believed in federation rather than freedom but the reality is on record, that he did not leave any stone unturned in his struggle to defend the Baloch homeland. Moreover, BSO-Azad Spokesperson while expressing his concerns over the the military operations being carried out in Balochistan stated that unarmed people of Balochistan are being targeted very aggressively by the state. Whole Balochistan, starting from Dera Bugti to Makran and to Lasbela, is not safe from the atrocities of Pakistani army. 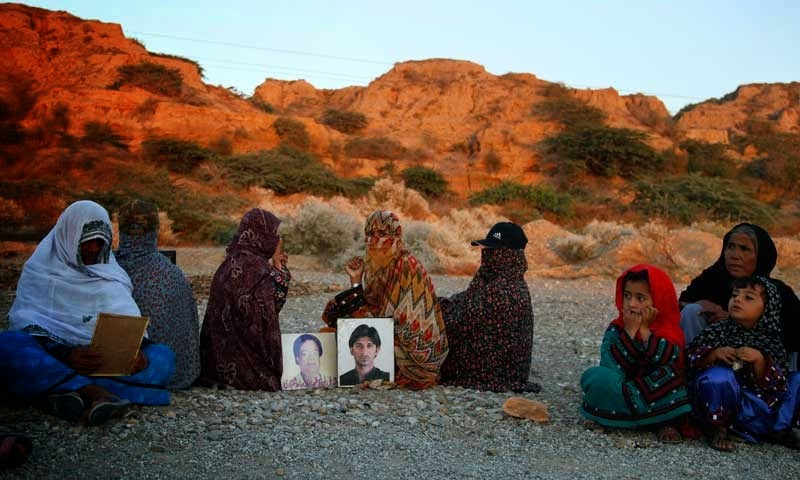 Dozens of Baloch youth are abducted from their homes everyday and there is no trace, afterwards their mutilated dead bodies are then thrown away. The rubber stamp parties including National Party work as civil organizations of Pakistan Army and play a role in the mass killing of Baloch by guiding the forces. After the international recognition of Baloch issue, the panicked forces have intensified their ongoing activities, in past few days forces have arrested a lot of people from their operations in different areas of Dera Bugti and those arrested have gone missing, another day 5 kidnapped baloch youth were killed in detention and their bodies were thrown away. Moreover on 23rd of August the forces abducted Hasil S/O Jamil and Ghafoor S/O Murad in broad daylight from awaran bazaar area, the next day they handed over the dead body of Hasil to the local authorities. After forces kill innocent Baloch youths in detention they falsely declare them as resistance fighters in order to hide their crimes and to avoid the blame of killing unarmed innocent people. The BSO-Azad Spokesperson said that the Baloch people are struggling for their natural right of freedom under the international laws, but the international organizations even then do not question Pakistan about the mass killing of Baloch People. The Spokesperson appealed to the civilized nations of the world that they should play their role for a peaceful resolution of Baloch issue.